JUST REDUCED. Seller is motivated and this beautiful home is priced below appraisal which was $735,000 in January. MUST SEE and BRING OFFERS! 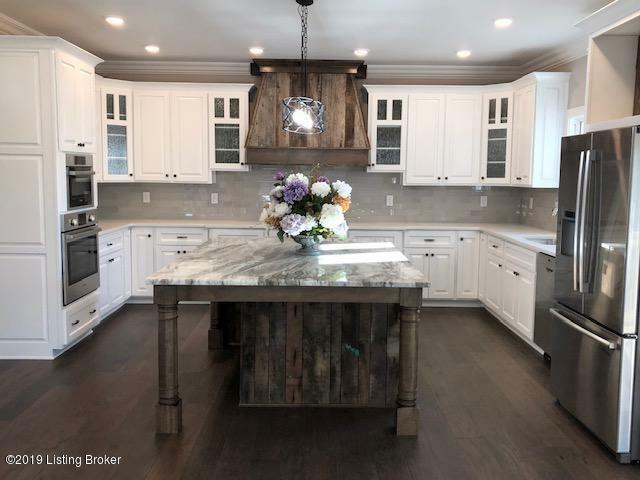 An incredible opportunity to live in Poplar Woods in a custom-built 6-bedroom, 4.5 bath home sitting on just under an acre. 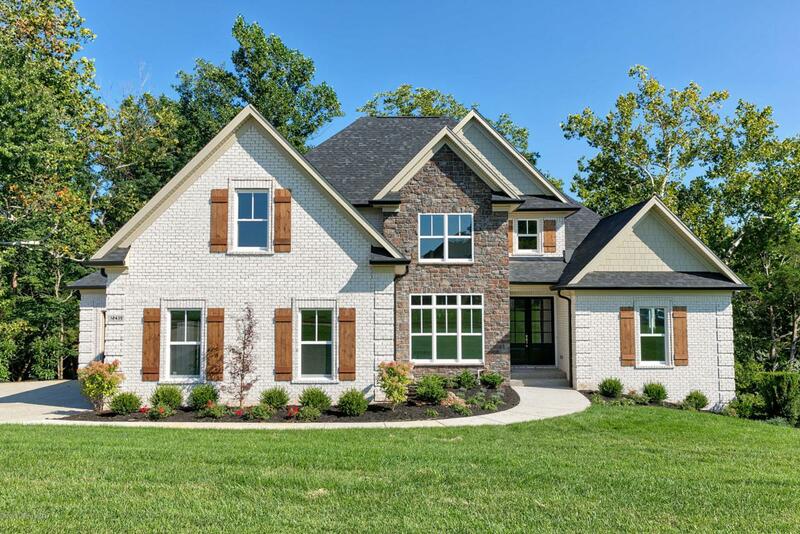 Enjoy the private views, serene landscape and suburban/rural feel all while living near North Oldham schools. With two nice size decks and multiple living areas, this 4,367 sq. ft. home is perfect for your family. A grand fireplace and large windows are the focal point of the great room, the main living area is large enough to entertain many with a large eat in kitchen that boasts an island large enough to seat 5 comfortably. Beautiful screened in deck off the kitchen and great room.If formal entertainment is what you want, the dining room is quaint enough for just that and has a beautiful view. 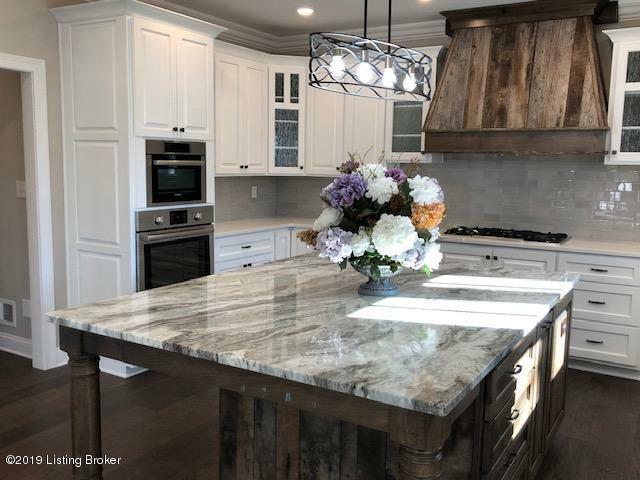 All countertops throughout the home excluding the laundry room are quartz or granite and exquisitely matched to the cabinetry and theme of the home. The first-floor master suite also overlooks the private back yard, 5 piece bathroom with marble floors and walk-in closet ready to be designed. The home will feature hardwoods on the main level, landing of the second level and basement entertainment area. Upstairs are 4 bedrooms, two with jack and jill baths, one suite with bath and one bedroom which can enter bath from the hallway. All bedrooms have large windows and are sized nicely. If family time is important, this is the home for you with a large basement, setup for a theatre room and entertainment area or a large family room/entertainment area, with 10 foot ceilings. The basement is a walk-out to a wood deck with another wonderful view of the back yard. The basement is rounded out with a bedroom, bathroom, storage and mechanical areas.